In today’s electronic age, there’s something more valuable than money. 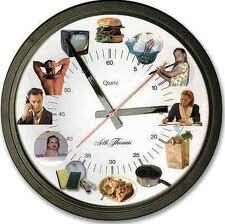 With the variety of media bombarding us every minute of every day, you want to make the most use of your reading time. Even if a book is “free”, it’s not free because you spend time reading it. That’s your primary investment. I can’t tell you how many books I’ve started and put aside. I’m the sad offspring of our “entertain me quick” culture. If a book doesn’t grab me in the first chapter–if I don’t connect with it, or better, if the author doesn’t connect with me–I’m back on the hunt for something that will. Gone are the literary days of Great Expectations or A Tale of Two Cities when an author took 50 pages just introducing his protagonist. We don’t have the patience for that anymore. It’s an unfortunate by-product of our unreserved access to unlimited resources of information, most of it available to us at the click of a button. I’m not saying this is right or good. I’m just stating it as a fact, and one that, as a writer, I’ve reluctantly come to accept. Why would anyone spend their hard-earned money and take their valuable time to read my stuff when there is so much else out there to engage them? I have to be good. Very, very good. I have to practice. I have to write until my fingers bleed. I have to reach out and connect with readers who have a thousand other voices screaming for their attention. And even if I chain myself to my laptop, cut open a vein, and let the words ooze until there is nothing left in me, I won’t connect with everyone. But I could connect with you. So I’m going to try again. If you haven’t bought my book (I despise prostituting myself in this way, but a girl’s gotta make a living somehow), I hope the excerpt below from my new book “Water for the Wound” will inspire you to click the link below it to read the rest. Their fetid breath writhes round my mind. Their eyes ablaze for mine to blind. Nor with foulest language to offend. Blind and dumb, consumed by self. ‘Midst their mirth and revelry. To dash the demons fixed within. So truth can squarely hit its mark. A fight to human eyes unseen. The battle that’s fought over me. To make me strong and keep me right. Can I know the peace of being free. 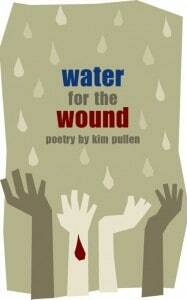 Get “Water for the Wound” for only $.99. Don’t have a Kindle? No problem. Download your free Kindle App to read “Water for the Wound” on just about any electronic device. I saw your blog and book posted on Disciples Today. I saw the book was $0.99 and bought it right away. I’m excited to read the book and also to peruse your blog.